College was a Roman Catholic grammar school for boys until 1977 when it expanded to become the mixed sixth form college it is today. This development led to a quick and vast expansion, and Xaverian is now responsible for the education of more than 2,400 students. The college’s initial migration from a physical to a virtual environment employed a combination of early Scale Computing storage-only systems, VMware virtualisation, and Veeam disaster recovery. After suffering a fire in the main server room, Xaverian took the opportunity to upgrade its hardware and chose Scale Computing’s HC3 system with hyperconverged clusters for virtualisation and disaster recovery. The college began its move to hyperconvergence four years ago by deploying a pair of three-node HC3 clusters, mirrored across two geographically diverse buildings. These ran 32 VMs alongside four physical machines serving the campus’ seven buildings. By design, Scale says its HC3 clusters offer disaster recovery through high availability, cloning, replication and snapshots, providing complete business continuity. Xaverian, which has also recently implemented Double Take high availability software, now also benefits from a cost-effective additional layer of geographically diverse disaster recovery, having re-purposed some of the original Scale storage hardware. After experiencing first-hand the benefits of hyperconvergence over a period of three years growth, the college added a further two nodes to each cluster. More recently, following a period of monitoring data-throughput with the support of Scale service engineers, it became evident that the college needed a faster backplane, so the production cluster was upgraded to the latest spec with the support of partner Paralogic. 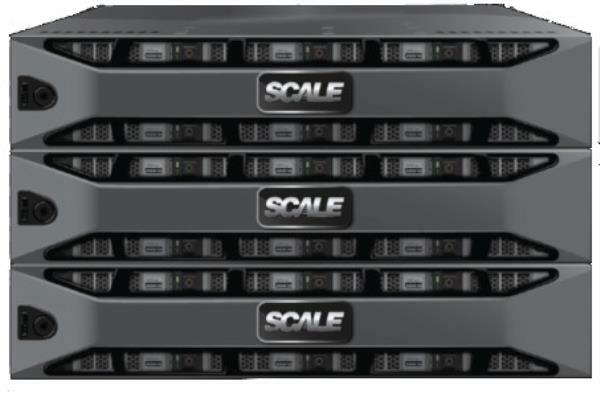 Scale says the upgrade has resulted in a noticeable increase in performance and backup efficiency, while previous latency issues have been completely eradicated.